Evergreens and pinecones are synonymous with Christmas. When you buy a Christmas tree it is probably a spruce, a Norway spruce to be exact, the Picea abies. The needles of a spruce tree are attached singly to the branch. Needles of pine trees are bundled together, usually two but sometimes three, four, five or more. 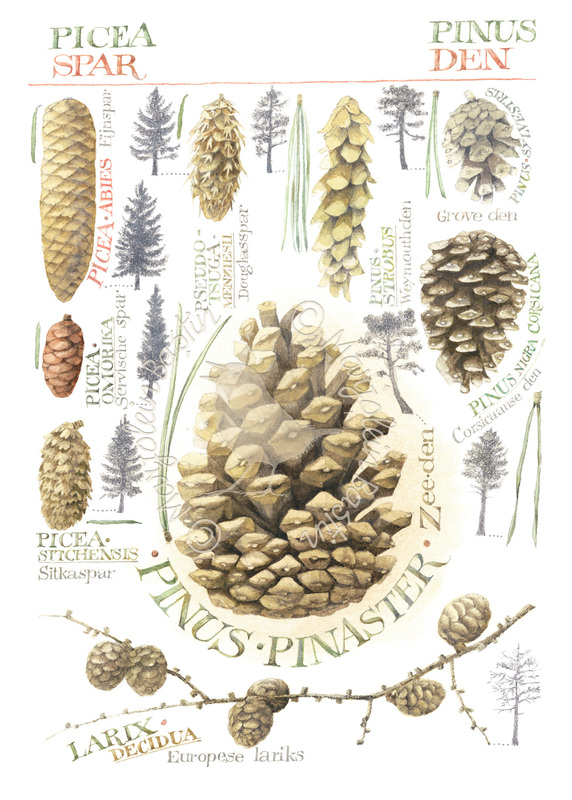 The spruce cones and pine cones are the fingerprints of the tree, together with the needles. The Larch is the only conifer to lose its leaves, or needles, in the winter.